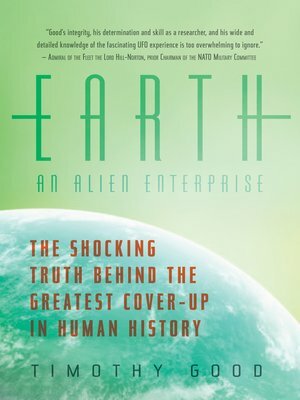 A worldwide history of alien contact from one of the most respected authorities on the phenomenon: "A bible for UFO watchers" (The Wall Street Journal). This fascinating new volume tells the story of contact between aliens and humans from all across the globe, dating back to 1932, including meetings with military personnel and American presidents such as Eisenhower and Kennedy. For the first time, a former member of MI6 reveals her conversation with Neil Armstrong at a NASA conference, when she confirmed that there were "other" spacecraft on the moon when Apollo 11 landed in 1969. Armstrong also confirmed that the CIA was behind the cover-up. In a further admission in December 2012, Russian Prime Minister Dmitry Medvedev revealed "the president of Russia is given a special top secret folder [that] in its entirety contains information about aliens who have visited our planet. Along with this, the president is given a report of the Special Service that exercises control over aliens in our country. I will not tell you how many of them are among us because it may cause panic."